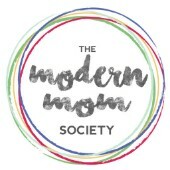 Today’s guest post is brought to you by Marcilie Smith Boyle, who will be a featured expert on an upcoming episode of The Modern Mom Society Podcast! Such an important topic – getting our kids to cooperate and do what we need them to do!! Your child’s behavior is not the problem. Really. If your child’s behavior is not the problem, then what is? Some parents reply, “I’m the problem!” It’s true that you may be part of the problem but here’s the real answer . . . The problem is the problem. There’s always something deeper that causes the behavior to show up. Always. Behavior is only what we see . . . it’s on the tip of the iceberg. But under the surface children have beliefs, thoughts, feelings, and abilities (or lack thereof based on developmental stage and physical or neurological differences) that are driving what we see. When we get curious, and look under the surface, we begin to see that our kids want to do well, they want to please us and stayconnected, but something is getting in their way. Our job is then to figure out what that is . . . Sometimes what’s getting in the way is a basic feeling of hunger or fatigue. We’ve all seen how hunger and fatigue can affect our kids’ behavior, right? Sometimes what’s getting in the way is abilities or rather, the lack thereof. When we expect our kids to do something that they’ve not yet developed the skills to do, that can also end up looking like “misbehavior.” For example, if you tell your 4YO child to color inside the lines, they might throw the crayon or scream out of frustration. But there’s something else that gets in the way. Alfred Adler, the pioneering psychiatrist whose philosophy underlies Positive Discipline, proposed that very often, what’s getting in the way of behaving well are feelings, thoughts or beliefs having to do with two things: Belonging and Significance. At the heart of Positive Discipline is the Adlerian theory (it’s really more fact than theory now) that all children (and adults) have a strong and basic need for belonging and significance. These are feelings, beliefs, and thoughts that can get in the way of doing or behaving well. Think of yourself for a moment. When you feel rejected, (for example, how you might feel when you don’t get invited to the neighborhood Mom’s night out) or humiliated (when your boss criticizes you in front of the whole team), do you behave differently? Most adults will admit that it’s hard not to behave differently because things like rejection and humiliation hurt. The opposite is also true: when belonging and significance are strongly felt, many misbehaviors simply disappear. There’s no need for back talk when I feel connected and respected. There’s no reason to push the baby off the bed when I know I’m loved, valued, and needed as much as ever. The opposite is true, and it’s true for me, too: when I’m well-fed, well-slept, and when I feel loved, appreciated, respected, and capable, I do better – as a Mom and person in general. So how do we help our children perceive that strong sense of belonging and significance (without feeding a sense of entitlement)? One very easy thing to do is put your smart phone away and really listen to your child with your eyes, your body, and your heart. Deep listening is one sure way to send the message that “you matter, and I care about you.” This tool is called a GEM, a Genuine Encounter Moment and I swear when I use it, my child naturally gets more cooperative. then please join me for an 8-week adventure that you can participate in from the comfort of your own home or office using video conference. I’ll be using Zoom Meetings which feels about as much like a physical classroom as you can get without actually being in a room together. All classes are recorded so if you miss a class, you can catch up. Register and get immediate access to my parenting resource web page loaded with tip sheets, videos, podcasts, and articles to help you become the parent you want to be. It is my mission to equip, empower, and support parents so that they can raise respectful, responsible, and resourceful children who are excited about life and motivated to contribute their talents to the world. Join me! Learn more about the virtual class here. This virtual class gets 4.6 out of 5 stars from over 100 participants. Here’s what some of them have to say.